Smint launches a new product "Smint Fresh Effect". The challenge was to find a way to create a visual which is telling you that this flavour is giving you a refreshing moment. The product was 3D modeled by me. The product didn't exist and there wasn't any prototype. I did recieve a document with the sizes as a reference. 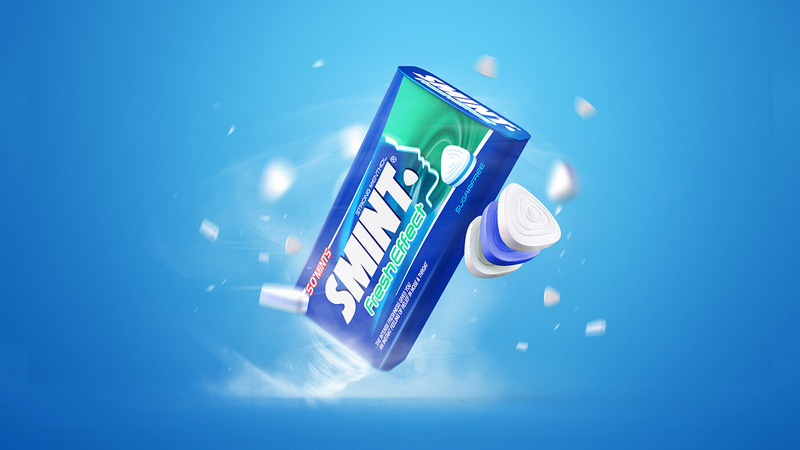 The 3D model and mints were rendered in C4D and placed into Photoshop to create the tornado and flying mints.